Dr. Parker is a graduate of Wabash College in Crawfordsville, Indiana. He graduated from medical school at the Indiana University Medical School where he also completed his residency in Obstetrics and Gynecology. Dr. Parker is a Fellow of the American College of Surgeons and a Fellow of the American College of Obstetrics and Gynecology. He is a past Chairman of the Obstetrics and Pediatric Department of Carolina East Medical Center. 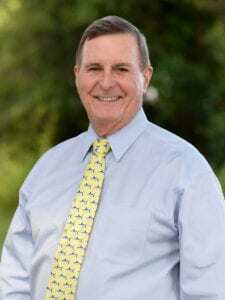 Dr. Parker is married with two children and he is an avid golfer. Other interests include waterskiing, running, and travel.